Five tobacco companies have sued the US Food and Drug Administration (FDA) over a new law that would force them to place graphic health warnings on their cigarette packets. The firms argue the plan violates their constitutional right to free speech, as it requires firms to promote the government's anti-smoking message. The FDA has not commented on the lawsuit. The new warnings will be required on cigarette packs from September 2012. 'Depressed, afraid' RJ Reynolds Tobacco, Lorillard Tobacco, Commonwealth Brands, Liggett Group and Santa Fe Natural Tobacco said they filed their suit against the FDA late on Tuesday in an effort to delay enforcement of the new law. RJ Reynolds brands include Camel and Winston, while Lorillard brands include Newport and True. In their 41-page complaint, the five companies say the new labels would illegally force them to make consumers "depressed, discouraged and afraid" to buy their products. In November 2011, Federal judge Richard Leon of the U.S. District Court for the District of Columbia temporarily halted the new labels, likely delaying the requirement that tobacco companies display the labels. The U.S. Supreme Court ultimately could decide the matter. Cigarette packets and other tobacco packaging must include warnings in the same size and format and using the same approved texts (in the appropriate local languages) in all member states of the European Union. These warnings are displayed in black Helvetica bold on a white background with a thick black border. Ireland prefaces its warnings with "Irish Government Warning", Latvia with "Veselības ministrija brīdina" (Health Ministry Warning) and Spain with "Las Autoridades Sanitarias Advierten (The Health Board Warns). In member states with more than one official language, the warnings are displayed in all languages, with the sizes adjusted accordingly (for example in Belgium the messages are written in Dutch, French and German, in Luxembourg in French and German and in Ireland, in Irish and English). 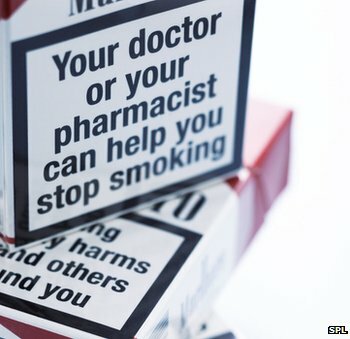 All cigarette packets sold in the European Union must display the content of nicotine, tar, and carbon monoxide in the same manner on the side of the packet. To the tobacco manufacturers joy, there are still cigarette smokers who can not read - Indonesian baby smokes 40 cigarettes a day. Because of man's unnecessary bad habits on obviously dangerous addictive desires - have millions of animals been forced to be exposed to suffering and death - Health officials have known for decades that smoking cigarettes causes disease in nearly every organ of the human body and that animal tests are poor predictors of these effects. 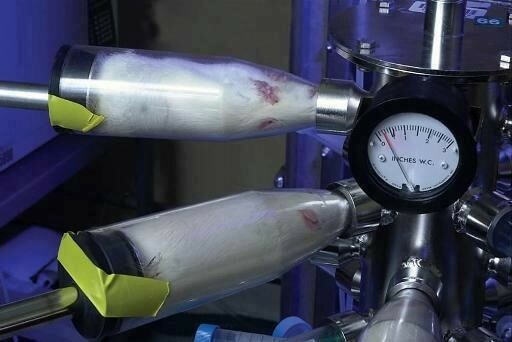 Yet tobacco companies and the contract laboratories that they hire continue to conduct cruel, irrelevant animal tests on new and existing products. The first recorded attempts to artificially induce animal tumors through the application of tobacco products occurred in 1911. A 2004 series of monographs released by the International Agency for Research on Cancer (IARC), a part of the World Health Organisation (WHO), summarized research from the 1960s onwards about the carcinogenicity of tobacco on various laboratory animals. 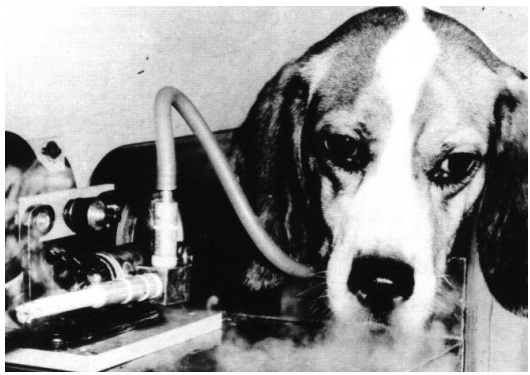 Torturous Tests - In tests that many people don't realize are still being conducted, animals are forced to breathe cigarette smoke for up to six hours straight, every day, for as long as three years. Animals naturally avoid breathing cigarette smoke, so lab rats are forced into tiny canisters, and cigarette smoke is pumped directly into their noses. 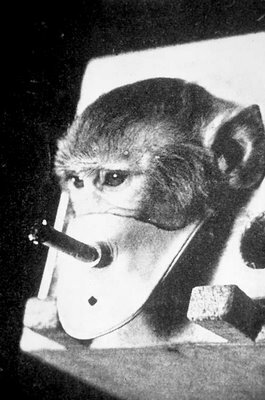 In the past, dogs and monkeys have had tubes attached to holes in their necks or have had masks strapped to their faces to force smoke into their lungs. In other commonly conducted tests, mice and rats have cigarette tar applied directly to their bare skin to induce the growth of skin tumors. As set out in the IARC monographs, the carcinogenicity of cigarette smoke is determined in two ways. 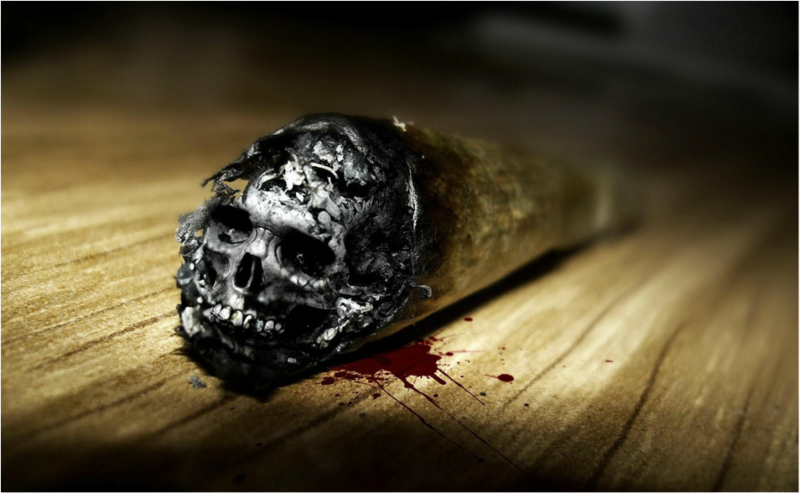 The first is through the application of cigarette-smoke condensates to skin. Cigarette-smoke condensates are collected by passing smoke through cold traps and recovering the retained material. The cigarettes are usually machine-smoked and the material is washed from the traps using a volatile substance such as acetone, which is then removed. 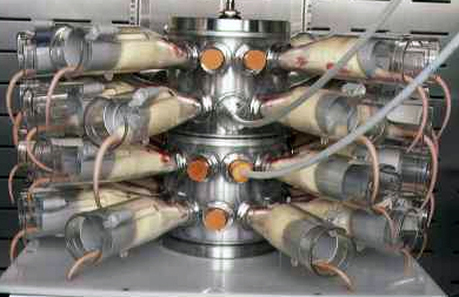 Many of the procedures for collecting this cigarette-smoke-condensate have not yet been standardized across laboratories, including how the condensate is stored, in what numbers and fashion the cigarettes are smoked, and the type of solvent used. 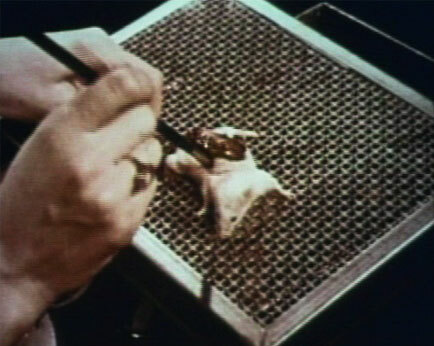 Once the condensate is collected, it is painted onto the skin of the animal test subjects, which are then examined at set intervals to assess the growth of tumors. Carcinogenic action of cigarette smoke condensate on mouse skin. 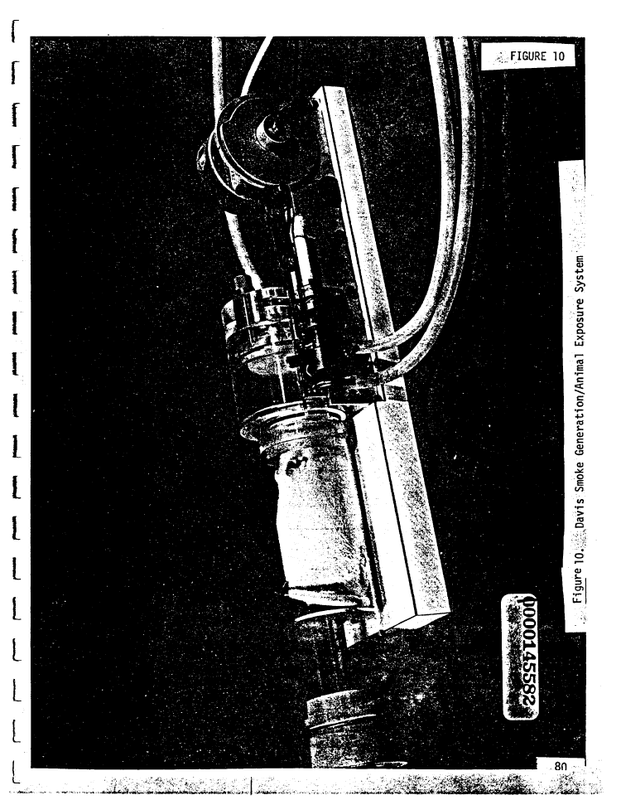 Tobacco documents - Experiments on hamsters forced to inhale cigarette smoke. The second method, as described by the IARC monographs, used to measure the carcinogenicity of cigarette smoke to animals is by exposing them to mainstream cigarette smoke. The IARC monographs define mainstream cigarette smoke as that which is emitted by the mouth end of the cigarette and therefore the smoke that human smokers would be exposed to most. The IARC monographs describe the methods and equipment that scientists have developed to make more effective and standardize the deliverance of mainstream cigarette smoke. 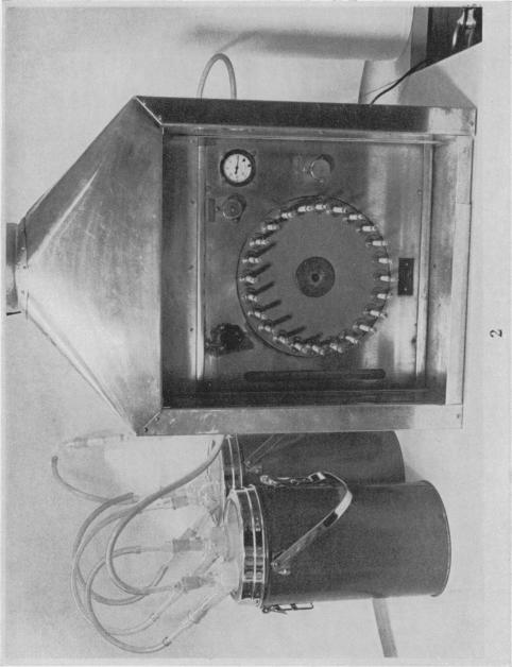 These devices vary between whole-body and nose-only exposure, but typically involve machine smoked cigarette smoke being pumped into a small chamber that contains the animal test subjects. A variety of factors differentiate the experience of a human smoker from these animal test subjects'. 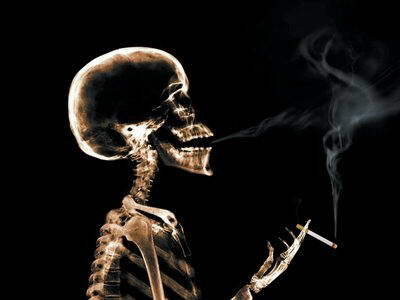 Human smokers inhale smoke voluntarily and therefore do so more deeply than do animal test subjects which typically adopt short, shallow breaths when exposed to smoke. The animal test subjects, primarily rodents and dogs, also have significantly morphologically different upper respiratory system from humans. Despite these variables, the doses of smoke administered to these animals can be determined by examining tissue and blood samples. United Kingdom - Mary Beith, who died aged 73, was responsible for one of the most memorable newspaper front pages in the history of popular journalism. She was the undercover reporter who took pictures of dogs being forced to inhale cigarette smoke, resulting in an iconic 1975 People splash: "The smoking beagles." 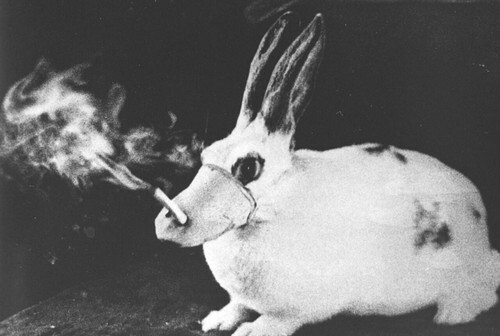 The animals were being used in an experiment to test a new (allegedly) "safe" cigarette. The story behind the story was a classic example of investigative journalism - a mixture of determination, chutzpah, good luck and comedy. 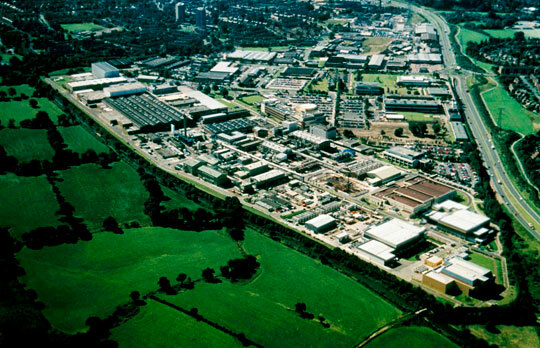 Beith, then working for The People in Manchester, was asked by its investigations supremo, Laurie Manifold, to see if she could obtain a job in an ICI animal-testing laboratory. She chose the Macclesfield lab for the simple reason that it was close to her home and, in spite of lacking insurance cards, managed to land the job. Part of her work involved trussing the dogs into fabric slings, essentially straitjackets. "Their heads were restrained by locking boards in place like medieval stocks," she later wrote. 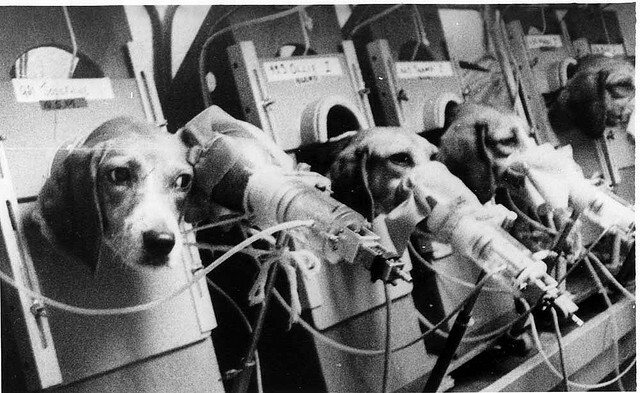 "The dogs were then lifted on to trolleys to the smoking platforms and the masks, valves and tubes were fixed to their faces." 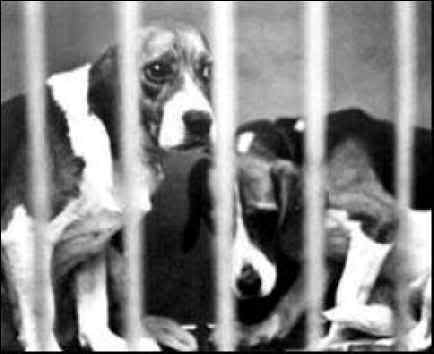 Some of the 48 beagles used in the experiment were expected to smoke as many as 30 cigarettes in a day. Beith was equipped with a spy-style camera and snapped a number of shots of the chain-smoking beagles. But when she took the film back to the office the dark room staff laughed at her efforts. One told her: "The next time you take pics of those beagles, Mary, please be sure to take your finger off the lens!" - "It was a very small camera," she told me in an a couple of years ago. So the following day she went back to the lab and got the shot that you can see below, the one that shocked People readers. 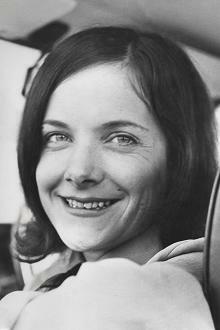 In all, Beith spent seven days at the lab in the summer of 1974. But, she said, "the paper then sat on the story for around six months." It caused a sensation when it was finally published in 1975 and Beith won an award as campaigning journalist of the year. Though this was her best-known exposé by far, Beith carried out many other investigations, including the abuse of the elderly in psychiatric institutions. Her daughter, Alison, remembered her mother dressing in a nurse's uniform for that assignment. She was also sent on several assignments to Northern Ireland. Mary Beith was born in 1938 in London. Her father, Freddie, spent some years as a journalist before he became a civil servant. She went to boarding school in Surrey and was briefly a teacher before taking a journalism course and initially working for the Bournemouth Times. While there she met and married a Bournemouth Echo reporter, Roger Scott. They later had three children. After moving to Macclesfield, she took a reporting job with The People at its Manchester office. In the late 1970s, following the break-up of her marriage, she moved to Glasgow and joined the Sunday Mail. She then moved to the Highlands and began freelancing, mainly for The Scotsman, and much of her work was concentrated on archaeology and botany. 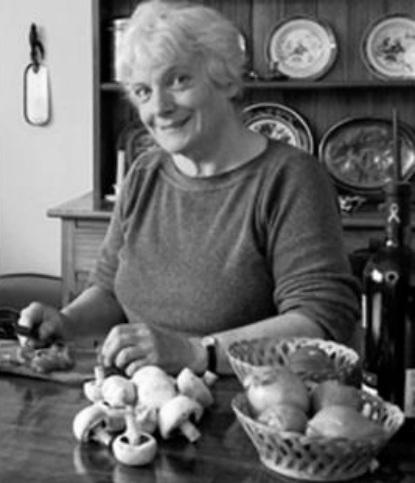 She eventually settled in Sutherland, at the mouth of the Kyle of Tongue, and in 1989 started to write a fortnightly column for the West Highland Free Press, mainly on the history of Gaelic medicine. It led to she writing a book Healing Threads, Traditional Medicines of the Highlands and Islands. She became immersed in Gaelic education and also wrote a couple of children's books. One, The Magic Apple Tree, was published in Gaelic. In view of the smoking beagles story it was perhaps, ironic that she was an habitual smoker throughout her life. Diagnosed with an aggressive form of lung cancer, she managed to outlive the doctors' original prognosis. No animal experiments is needed to know the danger - animal testing that continue conducted on behalf of the multinational tobacco companies - to find ways to reduce the danger in order to sell more - such inventions to make holes in the cigarette to the filter in order to get better results that indicate less danger, as a selling point.